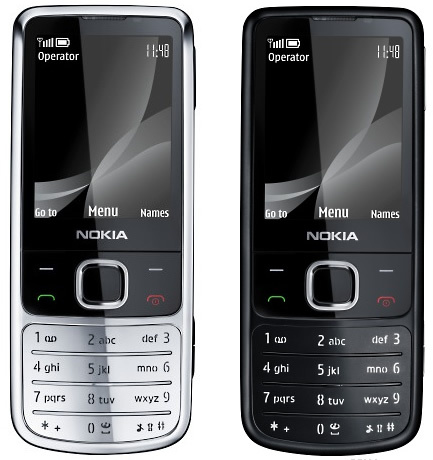 The Nokia 6700 Classic stainless steel mobile phone features a 5 megapixel camera and is considered as a modern successor of the popular Nokia 6300. The sleek stainless steel covers are gently rounded for style, comfort and convenience - the simplicity and elegance of the Nokia 6700 classic make it a joy to use. For those of you that like taking photos then you will love the Nokia 6700 classics built-in 5 megapixel camera with full screen view finder. Other features of the camera are LED flash, auto focus, photo editor and capture modes such as self timer and you can print directly from your phone to any compatible photo printer. Do all this and more with the Nokia 6700's dedicated camera key making it easier to use your built-in camera.There are a variety of ways you can keep in touch with work or friends and quick and fun way to do that is by text. On the 6700 classic there is an array of messaging formats including SMS, IM (instant messaging), Email and MMS+SMIL so you can send pictures as well as text. The Nokia 6700 classic comes with a built-in music player with a number of audio formats including MP3, MP4 and AAC to name a few. This means you can download your favourite song or album on to your mobile phone turning it in to an MP3 player. With the Nokia media player you can make play lists or select your music by artist, album or genre and also control the equalizer. You also have a built-in RDS FM radio so you can keep up to date with travel or sports scores and control the volume with the dedicated volume key. This is a smart and sleek mid-range phone full of technology and has great looks, it is being released in the second quarter of 2009. It is a great follow up from the Nokia 6300 and we at mphone think it will do well.